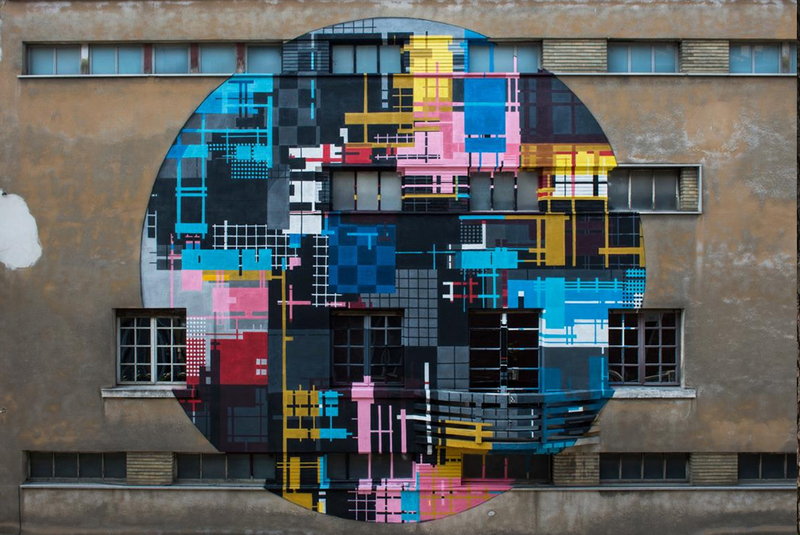 Zedz (1971), is a leading graffiti artist with international recognition. Since the 1980s he has been active in the Dutch graffiti scene. He chose to study at the Gerrit Rietveld Academy as a graphic designer and autonomous artist, which he successfully finished in 1998. Today, he works and lives in Milano, Italy. In his work, he transforms characters into autonomous spatial complexities. Mathematics, grammar and science fiction are translated into esthetic worlds of Dutch icons like Mondrian and Van Doesburg. His diverse work includes projects in the field of graphic design, illustration, clothing design, graffiti, architecture, new media, painting, sculpture and down-to-earth product design.